The Smarandache's universe is undoubtedly very fascinating and is halfway between the number theory and the recreational mathematics. Even though sometime this universe has a very simple structure from number theory standpoint, it doesn't cease to be deeply mysterious and interesting. 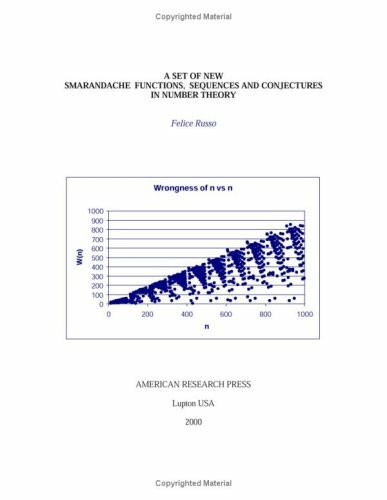 This book, following the Smarandache spirit, presents new Smarandache functions, new conjectures, solved/unsolved problems, new Smarandache type sequences and new Smarandache Notions in number theory. The goal is to find and explore open questions in both geometry of numbers -- e.g. Lattice Point Enumerators, the Ehrhart-Polynomial, Minkowski's Convex Body Theorems, Minkowski-Hlawka Theorem, ... -- and its applications to number theory. This book provides a review of an important aspect of the geometric Langlands program - the role of representation theory of affine Kac-Moody algebras. It provides introductions to such notions as vertex algebras, the Langlands dual group, etc.